Hey all! So, we missed a couple days of updates ... which doesn't mean they were uneventful ... on the contrary, our days are pretty full, and when night-time comes, the gang turns in rather early. But, we want to keep you informed of as much of our activities as we can. On Sunday we were able to attend church in Frydlant nad Ostravici with a number of friends, both old and new! It was an inspiring service, with great singing and a very appropriate message on spiritual gifts. We all came away with new insights as to how God has gifted each of us and how those gifts can be used for the good of others and the Glory of God! After church we enjoyed a great lunch with our gracious hosts, the Bozons! Lauren and Petr and their kids are a hoot to be with, and, again ... our hearts were warmed by sharing a few hours together! ... complete with amazing Czech desserts! Lunch was followed by a quick trip back "up the hill" to the Malenovice conference center, where we donned our work clothes and started our last "major" project ... replacing a temporary timber staircase in one of the larger cabins. The reason we started on Sunday afternoon was that we need to finish by Wednesday noon, because guests are coming in. We joined Tomas Klim and his crew and worked to get things going on Sunday afternoon and evening. We continued the work on Monday, and by Monday evening, 8 guys were able to lift the 400 - 500 pound staircase into place! Nothing like power by "Armstrong" to get the job done! Today, Tuesday was another great day! We started by joining a group of Christian leaders to celebrate the 6th birthday of Fusion, which is an outreach music ministry led by Josiah Venture staff. We sang songs, ate cake and made great connections with the Christian leadership community here. Inspiration was once again the by-word! But, probably the highlight of the day was meeting a group of teenagers from the nearby city of Vsetin. A few of the girls in the group "timidly" came forward to ask us some questions for a "group interview project." The questions were: "What are some ways to start new relationships?" ... and, "What are some ways to make relationships stronger?" Marketa (the girl to my right) was the boldest, and she asked the questions while the other girls giggled! The boys joined us for the picture! It was fun to provide them some answers that will hopefully lead to some good discussions! Tomorrow is our last full work day ... as we're going to pack our bags and head back to Prague early on Thursday to spend most of the day there, and then fly back to the States on Friday. Please continue to pray for us ... for emotional, physical, and spiritual strength ... and to leave some lasting fruit from our efforts here! Thanks for following us! 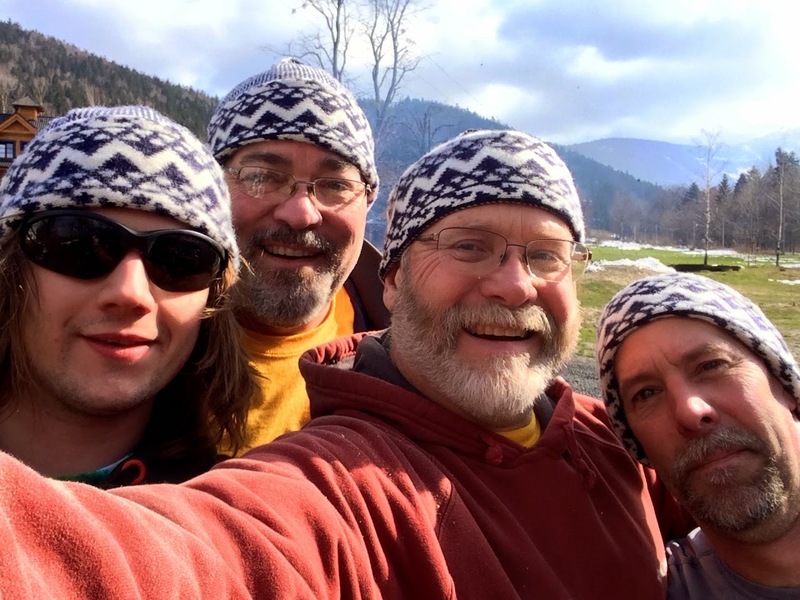 So, equipped with chain saw, splitting axes, and a "ready-to-go" attitude, we donned our proper Czech stocking caps and ventured out in the "The NIVA" to conquer a pile of beech logs. All went well! See the video above to see the boys in action! We hauled 5 trailer loads of wood and stacked it for groups to use in the 7 fireplaces present in the cabins and the hotel. Many great conversations about life and faith occur around these places! We feel privileged to serve in this way and know that our service is producing eternal results. After finishing our work for the day ... we sat down with Dave Patty, president of Josiah Venture who inspired us by sharing some of the awesome things that God has done, and is doing through Josiah Venture throughout the 14 countries of Eastern Europe where JV works. Again, we were encouraged to hear and see that we can be a part of a bigger picture of God's work amongst the young people of this region. Today (Saturday) is a "volny den" ... free day. We are spending the morning with the Bozon family visiting the town of Rožnov pod Radhoštěm. 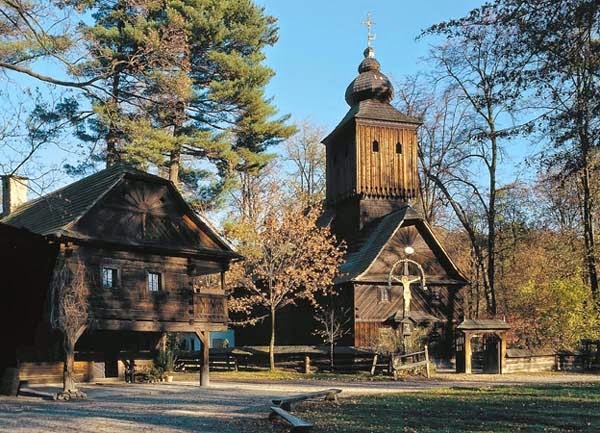 There is a very interesting outdoor museum and historical village with buildings that depict the special "Waldstein" style ... very similar to the log/timber buildings now present at the Malenovice Hotel/Conference Center. We're taking some "free/alone" time this afternoon ... because tomorrow (Sunday) we will be in church, lunch with a family, and then actually beginning work at 3:00 in the afternoon. We have a project in one of the wooden buildings that must be done by Tuesday evening, so we're going to get a jump on things! Please keep us in your thoughts and prayers. They are vital for us to keep energize and focused to what God wants to teach us and show us through this experience! Entertaining Strangers! ... What we do, or who we are! Day 2 for the 2015 Czech outreach team took a number of different directions ... but all of them led to some very rewarding and encouraging experiences. Have you ever seen such great looking bunch of guys??!! 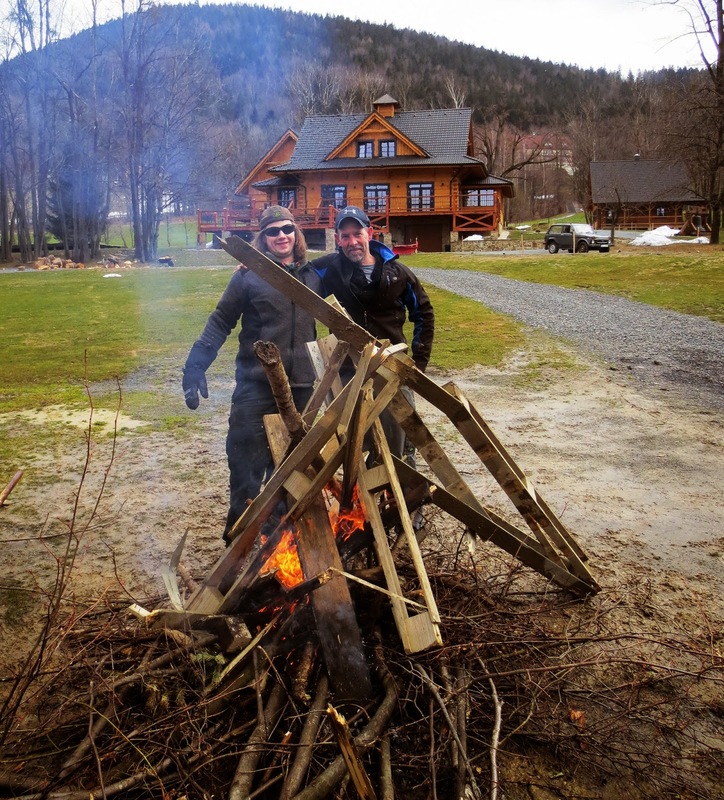 While Dave Stone and Dave J continued with the platform renovations and chopped some more wood, Smokey and Lil' John cleaned up the grounds by burning brush and removing snow from alongside the temporary "conference tent" because the wooden floor was being damaged by melting snow. Say hi to King Honza and King Smokey! 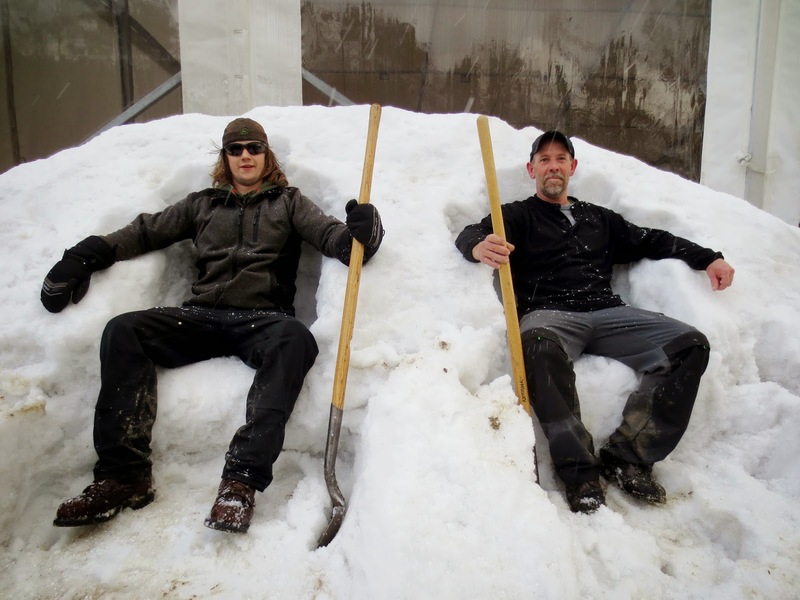 So, for some of the past years' Czech Team Veterans ... we aren't disappointed because we didn't get to shovel snow!! There's still plenty of it here! We miss you, Chris, Todd and Clint! Thanks to everyone for your prayers and encouraging words ... we're doing great ... and looking forward to another week here!